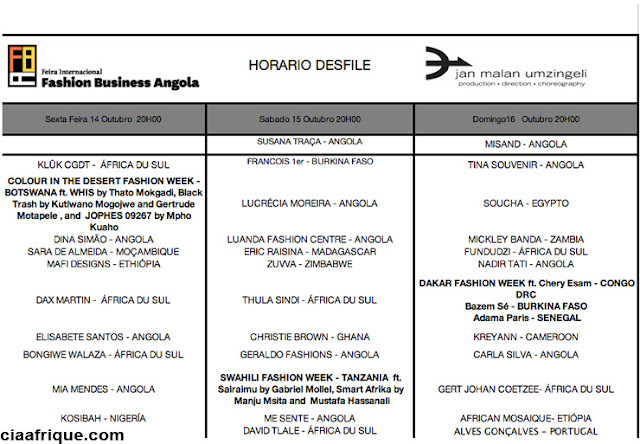 I am so excited for one of the biggest African fashion shows taking place in Angola . 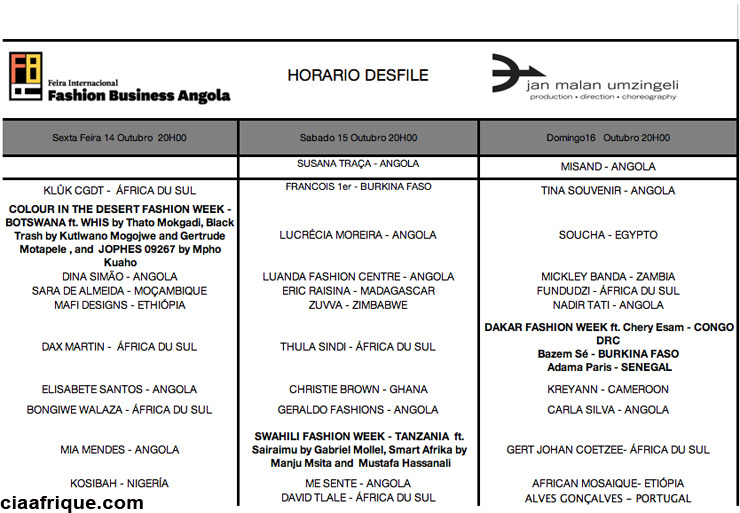 Some of our fave African fashion designers from Ethiopia, South Africa, Botswana, Madagascar, Tanzania, Ghana, Mozambique, Cape Verde, Ivory coast , Nigeria, Tunisia, Cameroon, Kenya, Zambia, Zimbabwe will be showing their latest collection starting Oct14th to Oct 16th . I am really looking forward to the shows of David Tlale , African Mozaique, Kosibah, Soucha ,Christie Brown and Mustafa Hassanali. Unlike the rest of the fashion shows in Africa I hope that we will be able to get some fabulous photos and Video footage of this event.